This lovely home, situated in the highly sought after Gladden Farms community, gives you the benefits of a new home without the long wait. As you walk through the front door, you are welcomed by a spacious foyer leading into the large great room with 18'' tile. From there you will be pulled to the upgraded kitchen complete with granite, stainless appliances, 5-burner gas stove, farm sink, and a magnetic chalkboard. You won't want to leave the kitchen, but there is more to see! 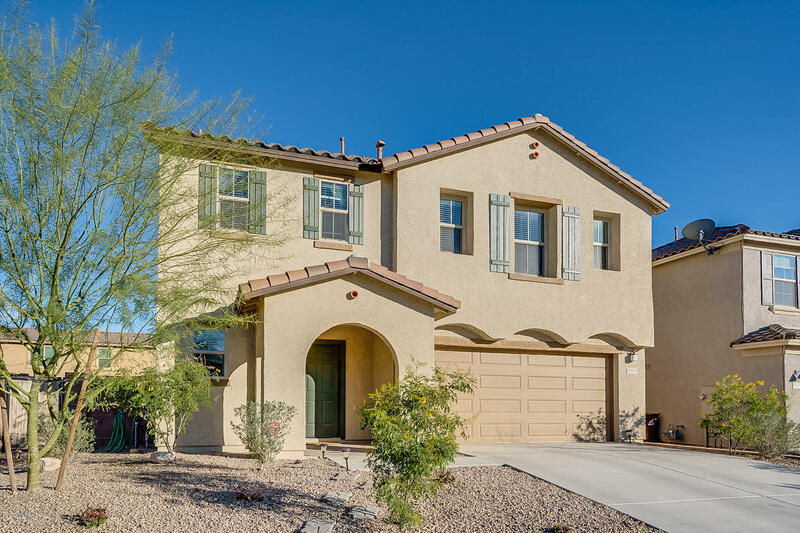 Head out the sliding doors to the huge east facing backyard with extended patio, or head upstairs to find the master bedroom with large walk in closet, and deluxe master bath with dual sinks and garden tub. Also upstairs is a loft and over-sized laundry room. Directions - From I-10: Exit West on Tangerine. Right on Sandby Green Dr. 1st Left on Bolney Gate. 1st right on Elementary Dr. 2nd Right on Foxberry. Home is on the right.